Best-selling author Terry Pratchett, suffering from a rare form of Alzheimer’s since 2007, gave $1 million to the Alzheimer's Research UK in March 2008. Prompted by Pratchett’s philanthropy, a group of loyal readers have formed an online fundraising campaign, Match It For Pratchett. The goal of the “spontaneous, grassroots, totally unofficial campaign” is to match Pratchett’s $1million donation through public contributions to the Alzheimer’s Research Trust, Match It For Pratchett T-shirt sales, and a “Wear the Lilac” pin campaign. 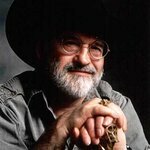 In addition to raising funds and awareness for the cause, Match It For Pratchett has also become a hub of information about Alzheimer’s disease and the latest news on Pratchett himself. Since being diagnosed in December 2007 with a rare, early-onset form of the disease called posterior cortical atrophy, Pratchett – who turned 60 in April – has been a staunch advocate for Alzheimer’s research. Of his diagnosis, Pratchett has said, “I am, along with many others, scrabbling to stay ahead long enough to be there when the cure comes along… It is a shock to find out that funding for Alzheimer’s research is just 3% of that to find cancer cures.” Pratchett has appeared on television and radio to discuss his diagnosis, and is currently working on a documentary series with the BBC that will follow him as he copes with his illness. Match It For Pratchett is determined to harness the power of the Internet and the passion of grassroots advocates to spread this message across the world. In addition to offering donation opportunities, the organization also encourages people to raise awareness about the cause through blogs, Facebook, and other online applications. More information can be found at www.matchitforpratchett.org.